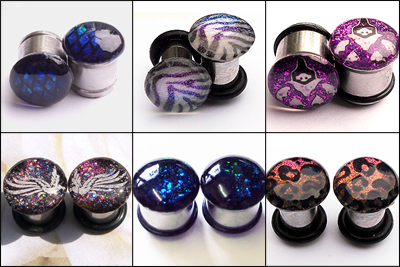 Winner will receive 1 pair of Lovely Plugly plugs of their choice, from size 6mm (2g) to 12mm (1/2")*. 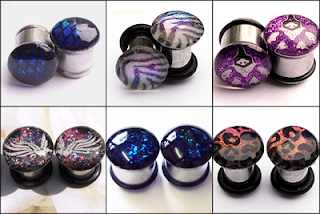 Have a look through our blog for ideas, and please excuse the dodgy photography. Our camera is sadface. *Please note that not all designs work on all sizes, but we're happy to work with you to get the design you would like.